Reflections at Lily Lake in Rocky Mountain National Park. When ever possible, I stop at Lily Lake. 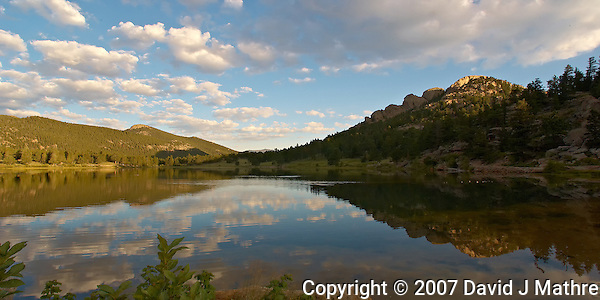 It is part of Rocky Mountain National Park, but outside the paid access part of the park along Colorado Highway 7. There is a mother duck and eight ducklings sleeping in the shadows on the far side of the lake in the first panorama image. 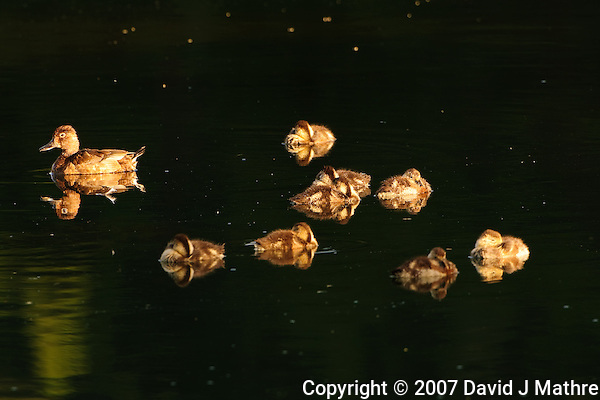 I have also included a closer view of the ducks through a telephoto lens.